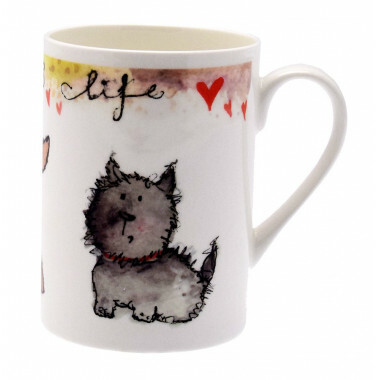 Fine bone Chine mugs with a choice of cats or dogs designs for animal lovers. Choose between the "cat" or "dog" design made in the United Kingdom in fine bone China. 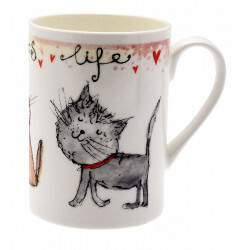 The Pet Life collection shows the inscription "It's a cat's life" and "it's a dog's life" on each mug.